MPs heard that over 300 serving police officers are being investigated in relation to their role in the Hillsborough stadium disaster in 1989. A SENIOR SERVING police officer implicated in the Hillsborough disaster 23 years ago ‘boasted’ of his role in smearing fans and saying they were responsible for the disaster, a British Labour MP has claimed. Speaking during a five-hour debate on the Hillsborough Independent Panel’s revelatory report in the House of Commons last night, Maria Eagle used parliamentary privilege to reveal new witness evidence against Sir Norman Bettison, the current chief constable of West Yorkshire Police. Bettison is under investigation by the Independent Police Complaints Commission amid accusations that he participated in a South Yorkshire Police-orchestrated cover-up of the disaster which sought to blame the fans, 96 of whom died. He denies this and there has been no immediate response to the new allegations. In her statement to the Commons, Eagle said that a witness who was at Hillsborough, John Barry, wrote in a letter to the victims’ families’ solicitor claiming that Bettison discussed his role in investigating the disaster with him. Eagle said that Barry is now willing to swear a statement about this evidence and read out his letter in parliament last night. It said: “He [Bettison] told me that he had been asked by his senior officers to put together the South Yorkshire Police evidence for the forthcoming inquiry. He said that ‘we are trying to concoct a story that all the Liverpool fans were drunk and we were afraid that they were going to break down the gates, so we decided to open them’. “I was quite astounded that he had shared this information with me, knowing that I had been very close to the scene of the disaster and had been greatly affected by it. We didn’t discuss it further. The Commons also heard that a total of 1,444 former and serving police officers’ names have been sent to the IPCC which is carrying out the biggest ever investigation into police behaviour in Britain. Of these, 304 officers are still serving. Various concerns were raised about whether or not the police watchdog and the Director of Public Prosecutions have sufficient resources to carry out their investigation. Questions were also raised about the role of the Football Association and Sheffield Wednesday Football Club whose ground did not have a valid safety certificate at the time of the disaster. The Attorney General for England and Wales last week said that he would by applying to have the original inquest verdict overturned amid new evidence that as many as 58 of those who died may have survived the stadium crush. Health Secretary Jeremy Hunt closed the debate with an apology on behalf of the NHS for the role of the South Yorkshire ambulance service in the disaster: “The panel found significant failings in the actions of South Yorkshire Metropolitan Ambulance Service. There was no systematic assessment of the victims, there was a lack of basic equipment,” he told MPs. Email “Hillsborough: Police chief Bettison 'boasted of role in smearing fans' - MP”. 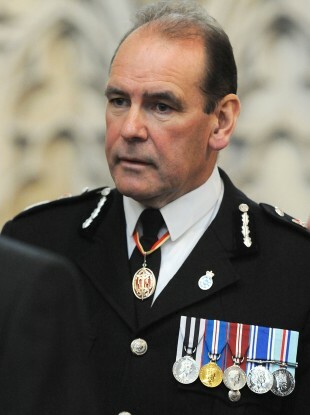 Feedback on “Hillsborough: Police chief Bettison 'boasted of role in smearing fans' - MP”.